White Day is a special day held in Japan on March 14, exactly a month after Valentine’s Day. White Day is a time in Japan for the boys to return the favour of gifts received earlier from the girls on Valentine’s Day. Why is it called “White Day”? It is simple really, white is the colour of sugar, which is the main ingredient of candy traditionally given as a gift on White Day. Popular traditional gifts on White Day include white chocolate, cookies, jewelry, white lingerie, and marshmallows. These days anything goes, so the gifts can be pretty much anything. 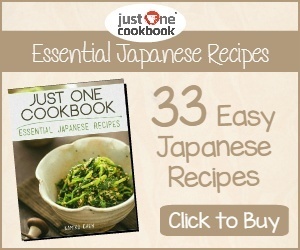 There is a word in Japanese "sanbai gaeshi" (三倍返し), which means triple the return. The rule is a returned gift should be 2 to 3 times the cost of the Valentine’s Day gift. Wow! The boys have it tough on White Day in Japan. White Day was first celebrated in Japan in 1978. It is also celebrated in other Asian nations such as South Korea, Taiwan and China. Just like with Valentine's Day in Japan, Krispy Kreme is also running a special White Day campaign. 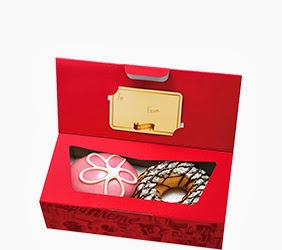 You can pick up a limited edition "White Day Box" with a Sakura Cream Doughnut and Cookie Vanilla Doughnut. A little piece of edible jewelry this White Day in Japan. Will you buy a special gift this White Day? I hope you have a great White Day wherever you are in the world.